I glanced over at the WordPress Download Counter and saw that WordPress 4.7 surpassed Four million since it came out last Tuesday. 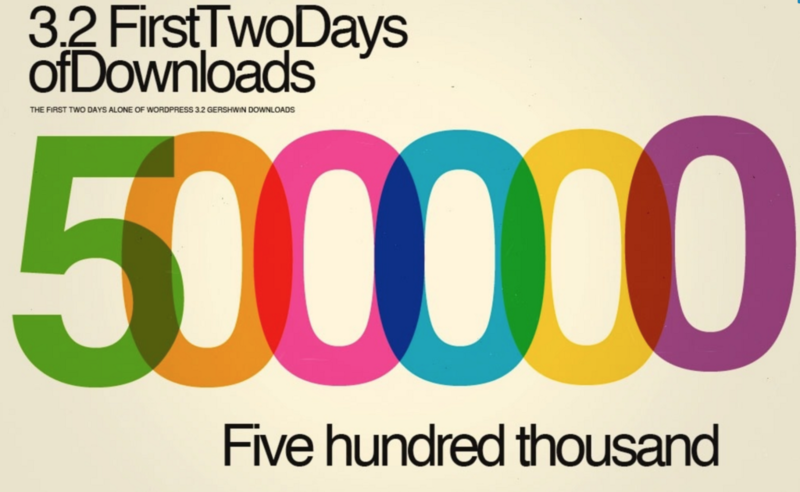 Five years ago, during the State of the Word, Matt highlighted that WordPress 3.2 had 500,000 downloads in two days. 5 years and 15 releases later, it’s amazing to see the growth of WordPress. In five years, how many times will that release of WordPress be downloaded? Will we get to the point that we hit 1 million downloads in the first hour?